Our Interactive Wayfinders integrate interactive digital wayfinding maps, and drill down information on expo, sessions, facility and city. Our highly intuitive On-site Wayfinder install includes a dual screen format - 52" digital signage screen on top and 42" Interactive Wayfinder on the bottom. Our Mobile Planner and Native Apps allow attendees to pull up their MyPlan, plan their event experience and navigate around the show floor from their tablet or mobile device. 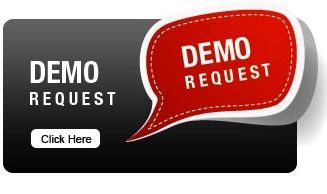 Ask us about electronic documentation for exhibitors and sessions. Interactive Wayfinder from Prism Technologies is a technology product that integrates interactive digital wayfinding maps with drill down information on shows, sessions, facility and city, through compelling rich media, 3D models, data driven content and a proven technology platform. Interactive Wayfinder is a visually appealing, intuitive and interactive solution that increases the productivity and event experience of the attendees to large events. The system can be implemented on online, on-site and mobile platforms with an integrated back-end. Enhance the productivity and experience for your attendees by helping them find their way with walking paths and step-by-step directions, travel, city guide, Photobooth and a lot more. Help consolidate the information channels increasing productivity, timely information and decreasing cost. Consolidate and enhance your on-site sponsorship with integrated charging station, wayfinding, Photobooth, travel and city guide. Differentiate your company from your competitors with a number of inexpensive digital listing enhancements have been designed to maximize your reach at the event. Consolidate your offering online, mobile and on-site. Go Green using our eDocs digital delivery for exhibitor collateral, session handouts and presentations. Charging Stations and Digital Signage integrated into the Wayfinders for a one-stop information guide. Copyright © 2013 Prism Technologies, Inc.